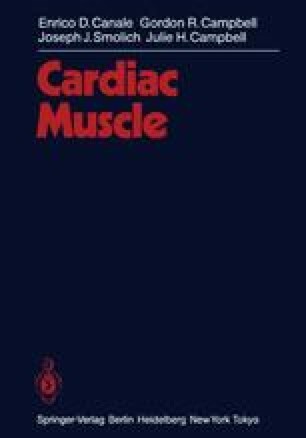 Cardiac muscle has been grown in culture since 1910 when the independent spontaneous contraction of small clumps of tissue was observed (Burrows 1910, 1912). Until the 1950’s, most of the studies involved explant culture and the modification of nutrient medium to maintain the cells in a differentiated, contractile state (see Murray 1965). In 1955 Cavanaugh enzymatically dispersed cardiac muscle into single cells and systematically observed their behaviour.